On numerous occasions, I have discussed the unfortunate moral and intellectual shortcomings of various rabbis. Today, I would like to praise a very special rabbi, on the occasion of his eightieth birthday: the outstanding Rav Moshe Shamah of Brooklyn. Rav Shamah learned in Ner Israel and Lakewood, and was also a close disciple of the legendary Rav Solomon Sasson. He also has a Master's degree in education from Loyola, and for many years served as principal of Sephardic High School. 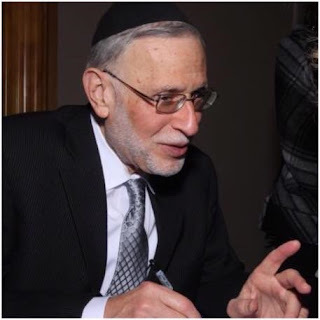 He is the rabbi of Sephardic Institute in Brooklyn, which he founded in 1968. Many decades ago, long before the internet, Rav Shamah had an experience which will strike a note of familiarity. Some zealots started complaining about his teaching that not everything in the Gemara is scientifically correct. It went all the way to Rav Yaakov Kaminetsky, Rav Yaakov Yitshak Ruderman, Rav Elya Svei and others. However, the campaign was deflated when Rav Sassoon managed to procure a letter in Rav Shamah's support from Rav Ovadia Yosef which, while suffering from some errors and exhibiting a clear anti-rationalist stance, stated that the rationalist approach does have traditional basis and is not heretical. The word 'arob, which means mixture but a mixture of what is unspecified, in all probability refers to swarms of assorted insects (following Rabbi Nehemiah in Exod. Rab. 11:3). The interpretation that the mixture refers to assorted "beasts of prey" (Rabbi Judah in Exod. Rab. 11:3) does not suit the context. The Exodus account states, "I will send against you, your servants, your people and your homes the mixture, and the homes of Egypt shall be full of the mixture" (Exod. 8:17). Had lions and tigers and so forth that were acting in accordance with their nature been sent against Pharaoh, the Egyptians and their homes, the fear that the beasts would have evoked and the death and devastation wrought would necessarily have been described differently than the text depicts. He brings further evidence and explanation as to how the plague arov was insects rather than wild animals. This view is certainly less exciting than the conventional view, but it is far more reasonable, from both textual and conceptual perspectives. I have met Rav Shamah on several occasions over the years and I have always been inspired by his wisdom, broad knowledge, modesty, and graciousness. In particular, his speech at an event launching The Torah and Nature Foundation has been a source of much inspiration and strength for me. May Hashem bless him with many more years of health and success! Thank you for recognizing Rabbi Shammah, my Rabbi. If not for the likes of Rabbi Shammah and you, I wonder what would have been of my Judaism today. Happy Birthday to Rabbi Shammah. May Hashem grant him many more years in health and prosperity with his dear wife. Anyway, among the pictures of the Ten Plagues (at that point in the Haggadah where we list them) there were flies for "arov." Probably assuming- correctly- that the average Jew thinks of these as lions, tigers*, and bears, they had to add a footnote assuring the reader that this was a legitimate view of Chazal. *There are, of course, no tigers in Africa. Many interesting insights into the weekly parsha by Rabbi Shamah may be found online at http://judaicseminar.org/addtl_files/bible.html. I suspect the traditionalists may not like his flat dismissal of R. Yehudah ("The interpretation that the mixture refers to assorted 'beasts of prey' does not suit the context"), who holds that "arov" indeed refers to wild animals . . .
Do we have a copy of Rav Ovadia's letter? 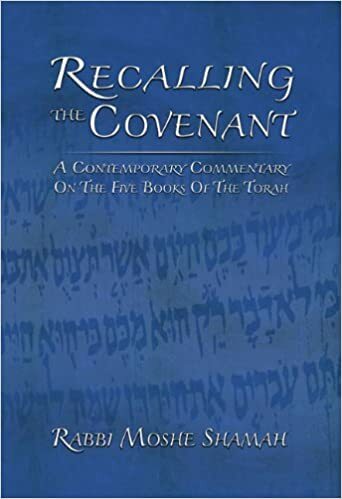 R. Shamah's views on Chazal and science were controversial among the American roshei yeshiva but by then R. Kotler had passed away so you should correct the post. Happy Birthday lil 120. Rabbi Shamah has bravely battled against the superstitions and neo-chassidism that has effected the SY community of half a century. Widely criticized and ostracized he has stood firm. A truly ethical man. A lot of translations have flies or gnats for Arov. A brief search is enough. I always assumed the 4th plague was beetles or even scarabs, an Egyptian god. But there again, I grew up with the Hertz Chumash. It's in there! Nu nu, the rashbam posits wolves and brings proof from other pesukim. I hope the rest of the sefer is more illuminating then that Rabbi Slifkin, because Rabbi Shamah does sound like an interesting man? I'm particularly drawn to the etymological connection between (s)carab and arov, given the deified nature of the scarab beetle. R' Natan, yasher koach for acknowledging Rabbi Moshe Shamah on the occasion of his 80th birthday and mentioning some commonality with your experience of Hareidi intolerance. His troubles with the yeshivish establishment long preceded yours for a similar reason. 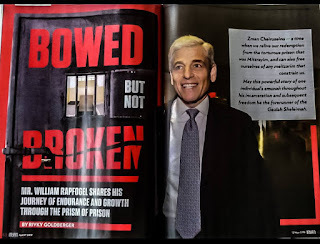 His involved teaching in a yeshiva, while yours involved books with 'controversial' material. If rationalist Orthodox heroes are to be celebrated, he should be counted as one of them. Thank you for recognizing the unique character and hashkafa of this very special talmid hakham. Thanks to him my appreciation of Chumash was dramatically enhanced. Ad meah v'esrim, in good health. Why should Rav Yaakov Kaminetzky object to his teaching that not everything in the Gemara is scientifically correct? Or just that some zealots complained to him and he listened politely? Or were there other complaints also?